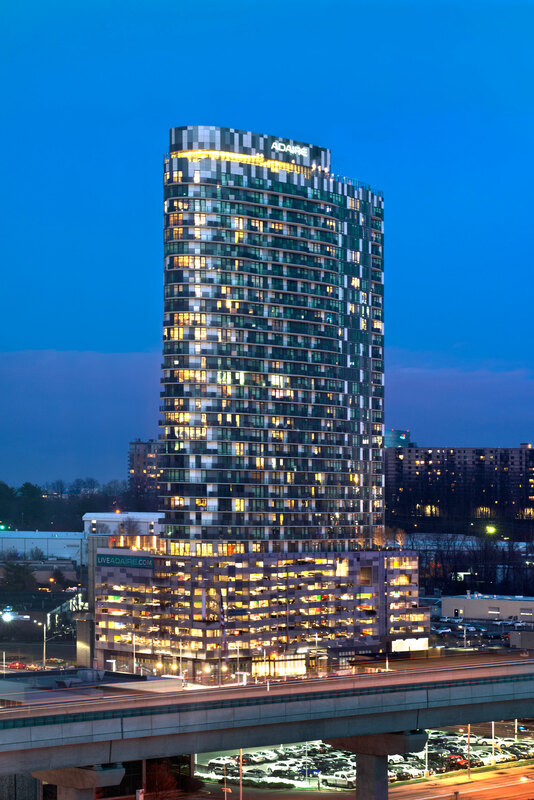 As one of the first high-rises constructed in the fast-growing Tysons unincorporated area of Fairfax County, Va., Adaire, a mixed-use residential community, stands out not only for its 35 stories towering into the sky but for its striking ellipsoidal design and modern facade. 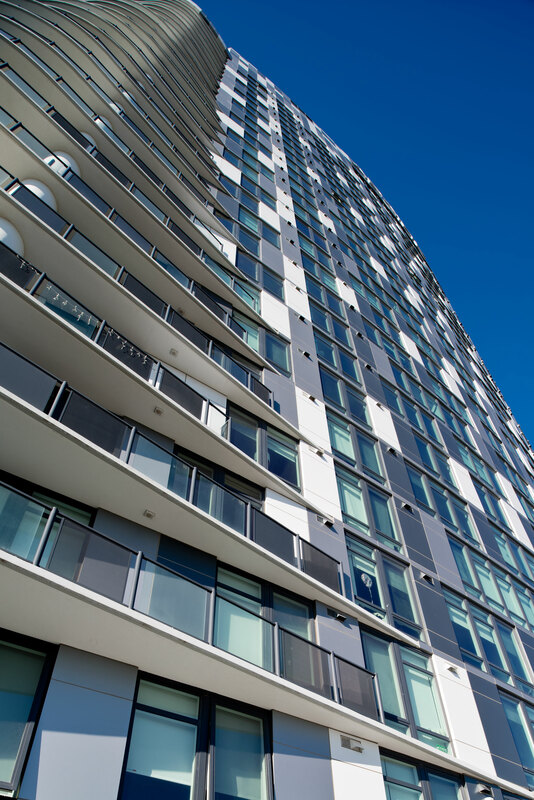 R2L: Architects, PLLC, of Washington, D.C., designed Adaire apartments as one of three towers. Adaire is located less than 20 miles from the District of Columbia – and within walking distance of the Spring Hill Metro station – and is 50 miles east of the Blue Ridge Mountains. 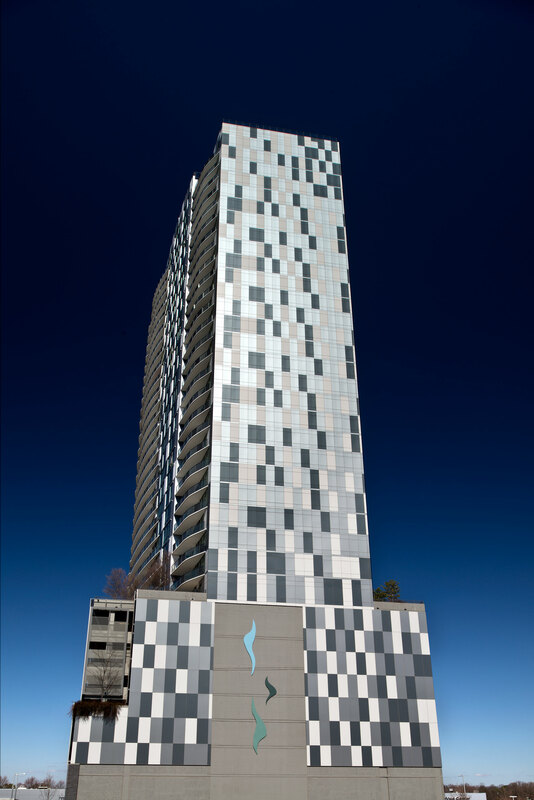 The 600,000 square-foot community features a 400-unit residential tower over a rectangular retail-and-parking podium and includes 35 stories above grade and two below. 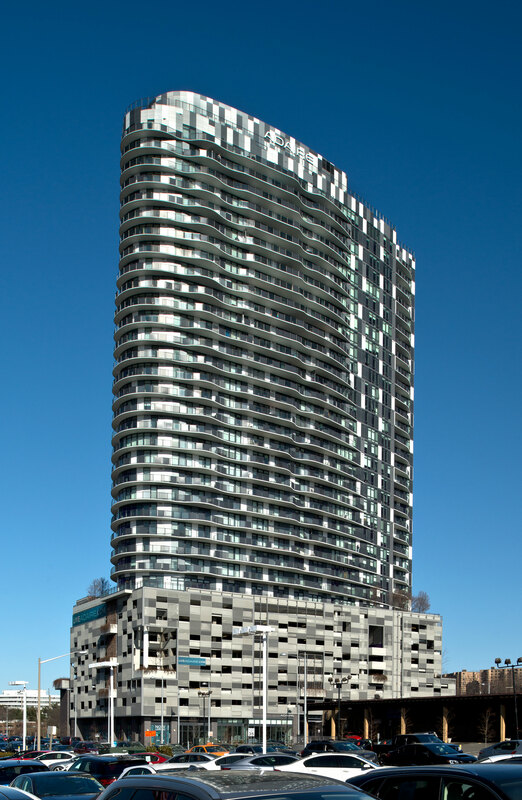 The residential tower’s unique oval design is accentuated with sweeping white balconies and a modern façade of glass mixed with multiple custom colors of Alucobond® PLUS aluminum composite material (ACM) by 3A Composites USA installed in a random pattern. A total of 113,160 square feet of 4mm Alucobond PLUS clads Adaire, including: 32,134 square feet of Custom Liberty White, 37,538 square feet of Custom MCH Gray Mica and 43,488 square feet of Custom River Satin Nickel. 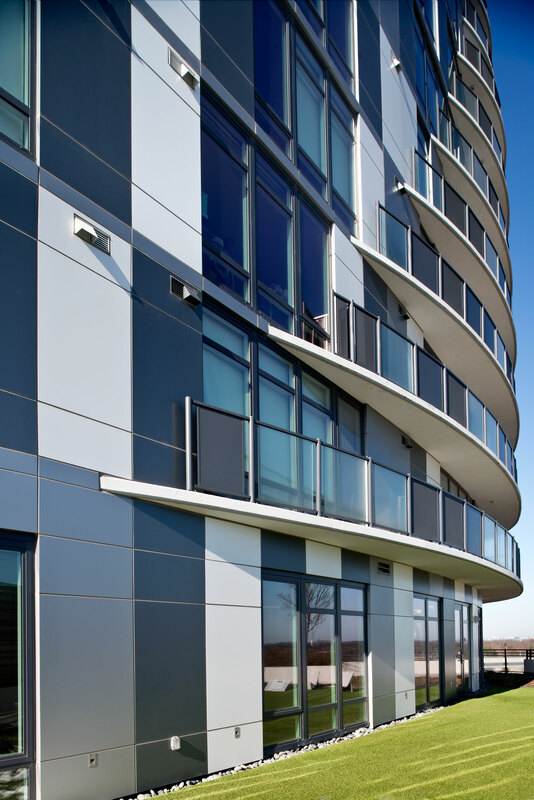 Since Alucobond was introduced more than 40 years ago, architects have turned to this ingenious patented product to create some of the world’s most visually striking modern structures. 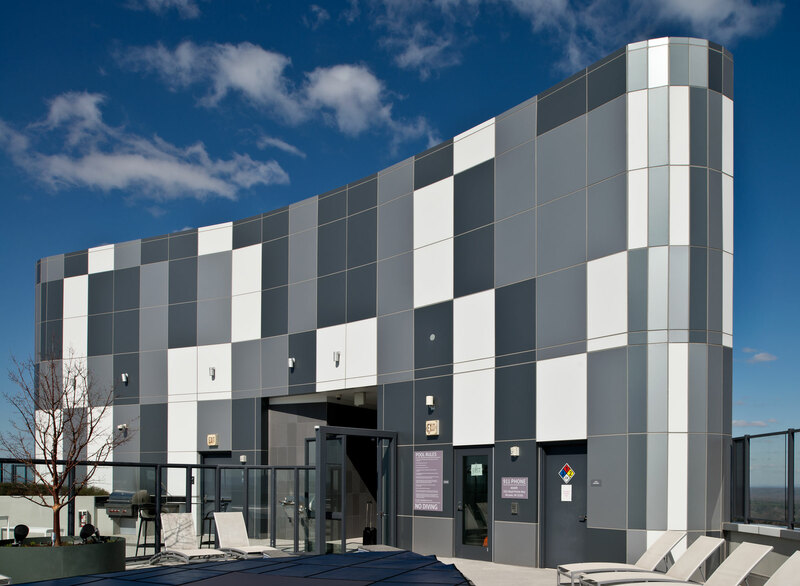 Alucobond is specified by architects as high-tech metal cladding for buildings and is used to create custom design elements as well as corporate identity structures and signage. 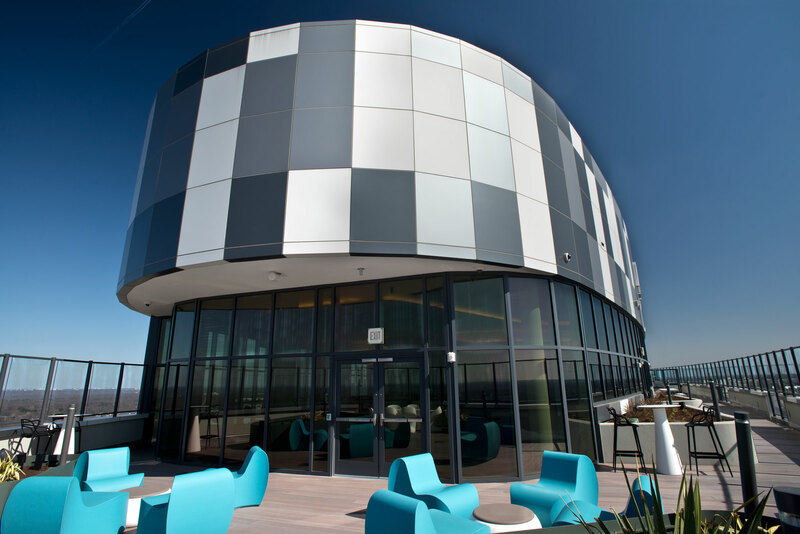 Adaire residents’ scenic views are enhanced with floor-to-ceiling windows. Custom Walls & Windows, Inc., of Jessup, Md., fabricated and installed the Alucobond PLUS panels with a male/female interlocking panel wet-seal system. John Moriarty & Associates of Virginia, LLC, based in Arlington, Va., served as general contractor for the project. 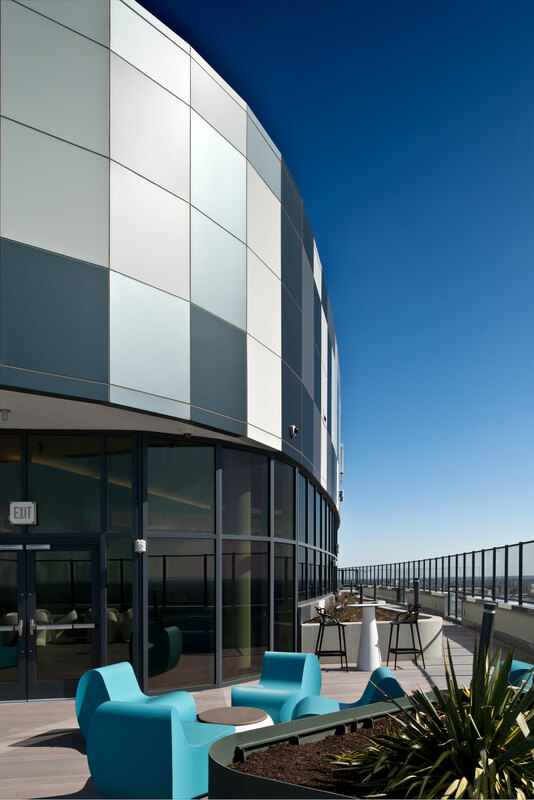 Custom Walls & Windows worked in conjunction with Peerless Products during design development to create 42-inch façade modules that could easily incorporate changes, according to Alex Bennefield, vice president, Custom Walls & Windows. Custom Walls & Windows fabricated approximately 13,800 Alucobond PLUS panels, with the three custom colors installed in a random pattern on the eighth floor and above. Bennefield credits a good labeling system during panel fabrication and an excellent set of shop drawings for the nearly flawless panel installation in which only four panels needed to be moved to their designated locations. Custom Walls & Windows focused on completing a speedy fabrication and installation of the Alucobond PLUS panels, beginning fabrication during the summer of 2015 and completing panel installation 11 months later. The first residents began moving into the Adaire apartments in June 2016. 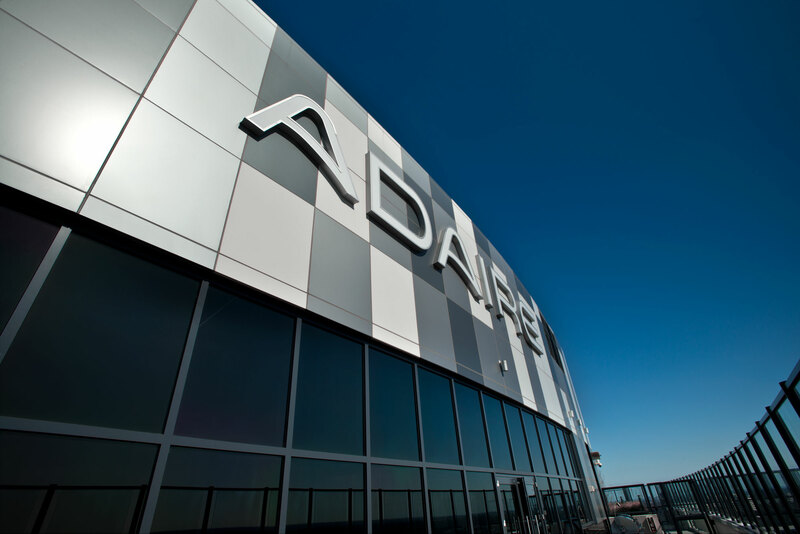 While originally designed to achieve LEED Silver status, the Adaire was certified LEED Gold. 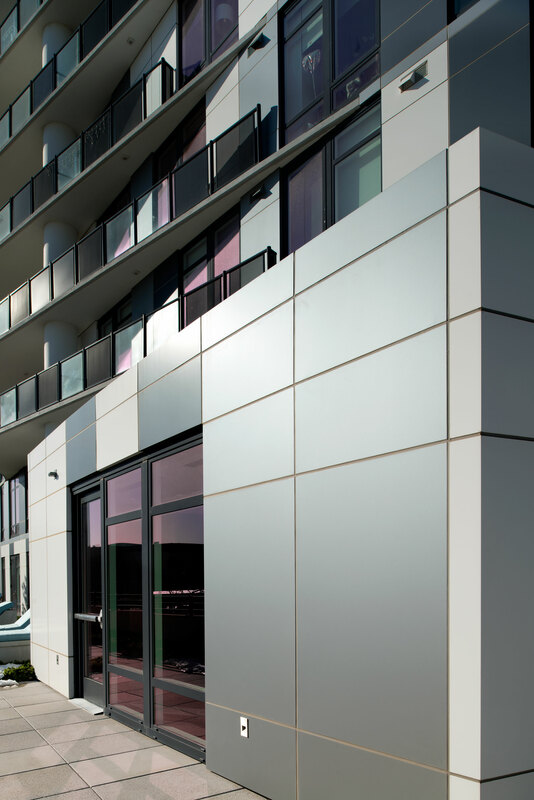 Fully recyclable Alucobond PLUS contributes credits to LEED certification. The Adaire multi-use residential community – which was approved by the Fairfax County Board of Supervisors – “has received accolades for both architectural and bird-friendly design, establishing high standards for future phases of the Spring Hill Station master plan,” according to an R2L: Architects’ statement.